Five Valleys started off 2018 right, with the finalization of a new conservation easement in Woodworth Meadows. 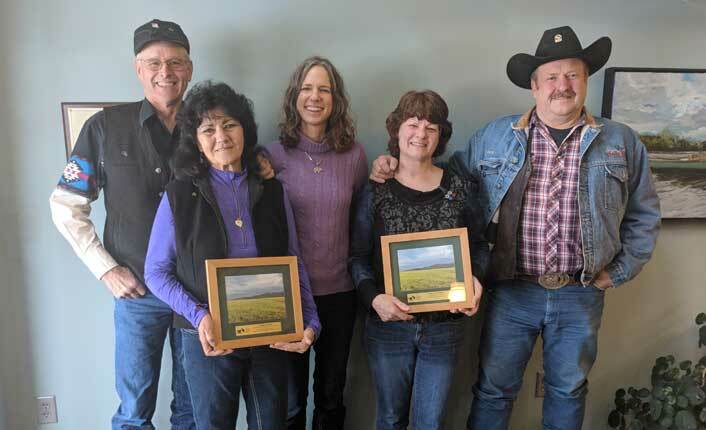 The project helped two families to meet their successional planning goals, enabled the Cahoons to purchase their home site and protected working lands and critical wildlife habitat. Ralph and Peggy Cahoon have lived and cared for their 100-acre property for many years. Like much of Woodworth Meadows, the Cahoon property is rich land. 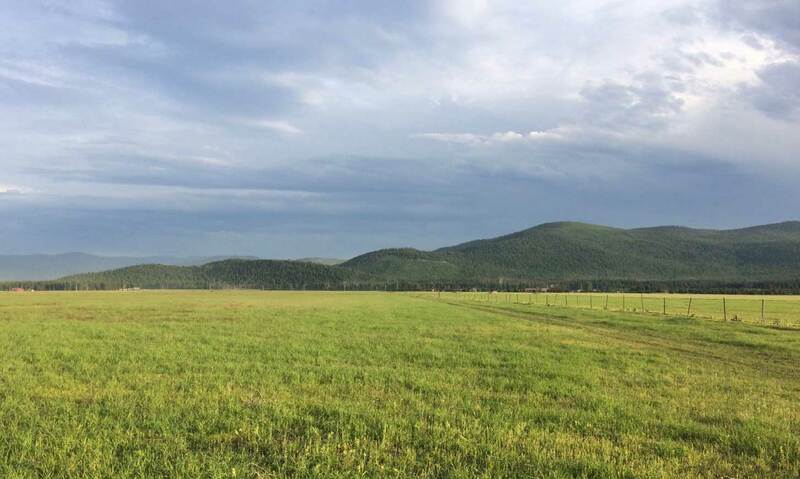 The entirety of the property is deemed as Agricultural Soils of Statewide Importance by the Natural Resource Conservation Service. 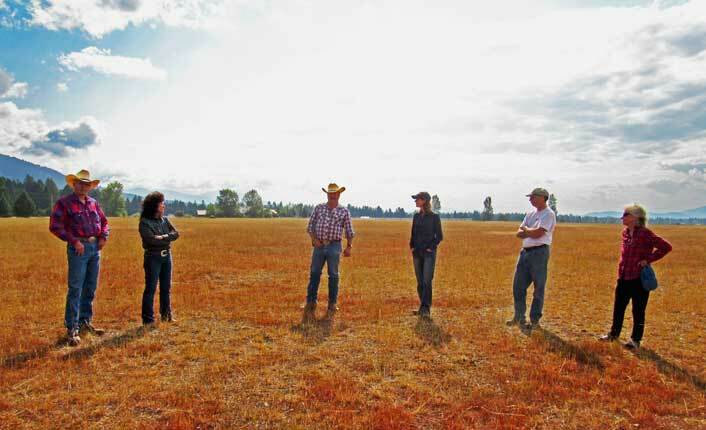 The conservation easement ensures that the land will remain available to support hay and grazing, just as it does now. Ralph and Peggy Cahoon, Jack Rich, Five Valleys' Vickie Edwards and members of the Missoula County Open Space Advisory Committee on the easement. Photo by Heather Peters. The Cahoon easement is remarkable for another reason: its proximity to other conservation lands. Five Valleys currently holds four other conservation easements in Woodworth Meadows that directly abut or are nearby to the Cahoon property. In addition, the property is adjacent to both Montana State Trust and U.S. Forest Service lands, and the Bob Marshall Wilderness and the Blackfoot-Clearwater Wildlife Management Area are just a stone's throw away. This connectivity to protected lands is important not only for the preservation of the area's breathtaking scenery, but for wildlife, too. 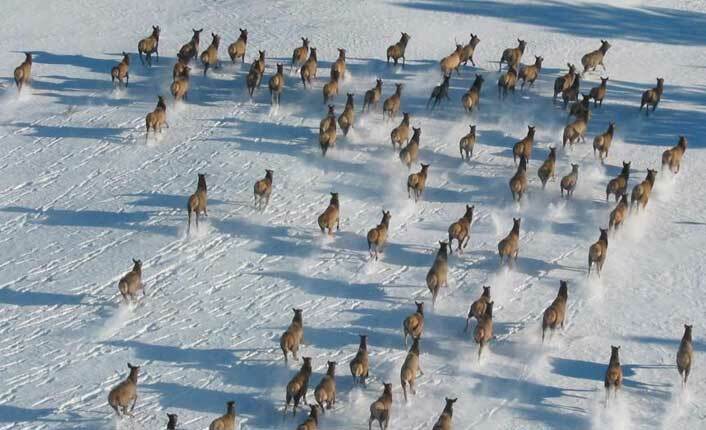 Everything from elk and deer to grizzlies, lynx and mountain lions depend on landscape-wide migration corridors to maintain healthy, genetically diverse populations. Elk in the Blackfoot Valley. Photo by Mike Thompson. By the rambling old log house that your Dad made. And you filled each manger with its daily fare. As we lived there in our valley all alone. As we loafed beneath those summer skies of blue." Thanks to the Cahoon project, the "good ole days of yore" will live on in perpetuity. Ralph and Peggy Cahoon, Five Valleys' Vickie Edwards, and Belinda and Jack Rich at the easement closing celebration. Photo by Five Valleys staff.